Participate in making the Labyrinth beautiful and powerful. 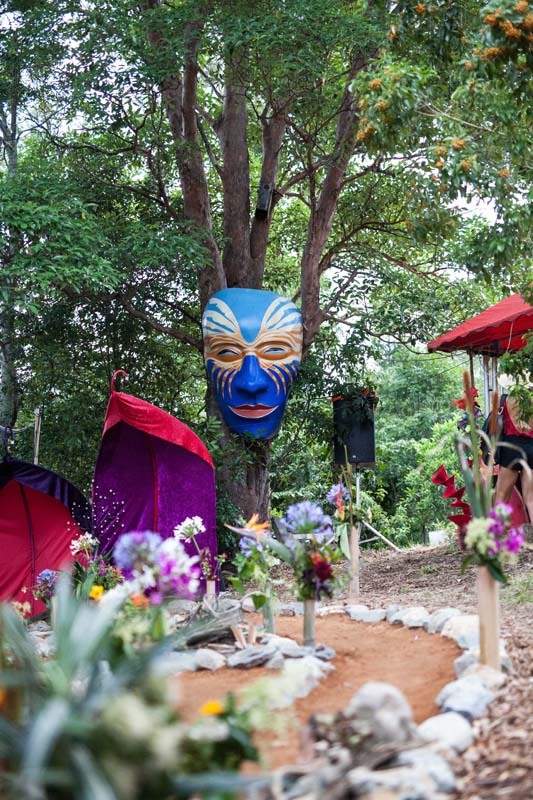 Set your own personal intentions for the festival and for the next phase of your journey. Supported by the elements of nature we'll create a dreaming space to call in inspiration to help us celebrate wholeness and connection with all that is. Let love be your answer to everything. What was the question? In this ceremony especially to honour couples and love, we'll also celebrate the feminine, the masculine and witness each other in our full beauty with a big dash of song. Harvest the gifts of the festival and plant seeds of new intentions and different ways of being for the New Year. Sprinkle the new seeds with joy and abundance and take some of the festival home with you.